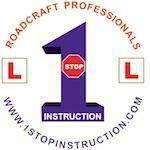 The instructors know their stuff, tips and guidance was absolutely spot on i will be recommending to anybody that asks. I passed my CBT on the Friday my Module 1 on the Tuesday and Module 2 on the Wednesday...From finding the website to speaking to the person I dealt with on the phone i knew that this was a company that could give me what i needed to pass my tests, that’s what happened. Easy to follow instructions and very comprehensive. The tips and advice you are given throughout are top notch its just up to the individual to to absorb and to action it.